Cleaning when you have a toddler making a mess in the other room can be rather tricky. Even though I have a cleaning kit and enjoy doing the spring clean in general I hate doing the chores and find them so mundane and boring. We have used a steam cleaner in the past and loved it, however our new steamer the Kaercher SC3 is on another level. 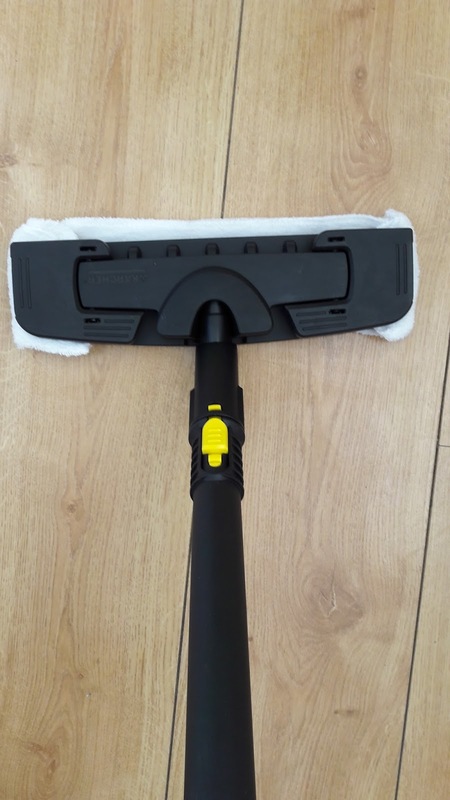 The Kaercher SC3 is a 100% chemical free tool with no scrubbing necessary with outstanding results each time we have used it, its now an essential cleaning tool in our home. 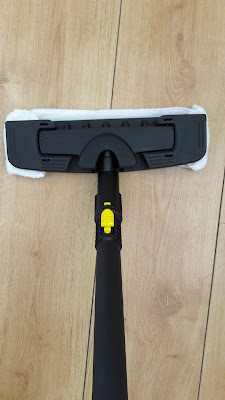 We first tested out the Kaercher SC3 when cleaning our kitchen and were so impressed with the results. Our stove top was looking less than satisfactory before hand but after one use it was clean and shiny like it should be. One of the reasons why I had put off cleaning it was that the products that I used in the past made the job take much longer and with a lot more effort. Our next job was using the steamer to clean our floors. The Kaercher SC3 can be used on nearly all hard surfaces but not carpets which is the only downside. However the only carpets in our home are in the bedrooms so definitely not too much of an issue. Our kitchen is the worst in our home as it gets dirty so quickly and so I was glad to find that the Kaercher SC3 removes stains quickly and effectively on all the hard floors in our home which was a relief when it comes to the kitchen. One of the rooms I was looking forward to testing the Kaercher SC3 was the bathroom. I hate cleaning our white bathroom tiles and I find that we get mould in there often and am constantly having to use a mould spray which I don't like as its full of chemicals. As you can see in the before photo the tiles were starting to go a little black due to mould and mildew and usually I would use a tooth brush to clean it which would take me a good while of scrubbing. As you can see in the after photo our tiles are now white and clean this is with just one use with the Kaercher SC3. When cleaning the bathroom I noticed that our shower head was starting to go a bit yucky. Now I clean it regularly by wrapping the shower head in a sandwich bag with white vinegar tied with an elastic band. This does work really well when left for a good few hours however you as you can see in the photos below the Kaercher SC3 cleans it so well without having to wait. Overall the Kaercher SC3 helps us to get the job done on a much more quicker level and of a more higher standard. The Kaercher SC3 is also really light weight, small in size so easy to store as well as being simple to use. That is a fantastic looking pressure washer. WE REALLY need to get one at home to do our tiles. This looks great! It looks to work great and I could definitely use one like it! I've always been curious about steam cleaners but I didn't know they could clean so many different things around your home! I think you've put this on my 'must buy' list! Bloody hell, this looks super effective! Awesome to get to see what products really work! Wow, I didn't realise you could use it in a range of settings in the home! This makes cleaning look so much easier! This sounds like a really good steam cleaner, I would love to get my hands on one of these, it would make cleaning so much more enjoyable and effortless. Great to be able to clean so throughly without the use of chemicals. This looks brilliant! I wouldn't have thought to use a steam cleaner on tiles or the oven. Can you use them on laminate floor? this sounds really good - I had no idea it could be used for such a variety of things! That looks really great. Bathroom tiles have always been my bug bear too, and as soon as you've worked up a sweat scrubbing them, all the mould and mildew is back!! Here in Sweden bathrooms are tiled the on four walls covering totally, and the floor, just not the ceiling. We have 2 rooms like this and a laundry with a tiled floor. This machine sounds like my dream come true!! I really need a steam cleaner in our house, we have a dog and he makes so much mess! But I hate getting the bucket out and washing all the floors down! Sounds great and cleans so throughly, will definitely give it a try. 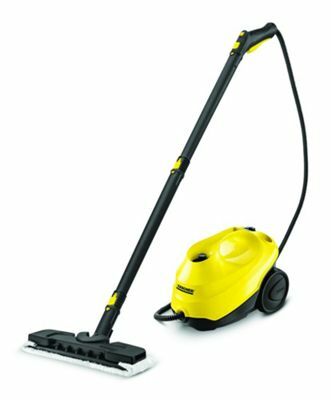 I need to invest in a steam cleaner myself and this one looks like a perfect one for cleaning not only floors but other surfaces as well. From your photos I see that it does a really good job! I really need one of these - the grouting in our bathroom has started to discolour and needs a good blasting! And our windows are a state! Wow the shower head is so clean. I need to try this. Looks like a great product, the after photos are impressive! Sounds fab! I just invested in a window cleaner and K5 pressure wascher. I may add stem cleaner into future shop list. We have one of these and they are just so useful, they really do get things clean. I really want to try out the stream cleaner in my house very soon!